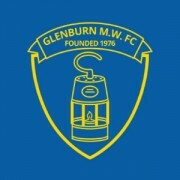 The Glenburn MWFC U14 Team train on a Tuesday night 7.15pm – 9pm at Prestwick Academy and Thursday evening 6.15pm – 7.30pm at Old Race Course. Cost is £20 per month. The U14 Team play on Saturday mornings in the West of Scotland U14 League. The home pitch is Prestwick Academy and kick off is at 10.30am for 70 min games. The U14s currently have 18 boys. L&M Survey Services is one of the UK’s leading land survey organisations providing specialist surveying services to the rail sector, consulting engineers, government agencies, utility companies, the construction industry, port authorities and the quarry & mineral sector. L&M Survey Services sponsor the 2001 home kit. Pollock Williamson Butchers personal service means that we know the preferences of many of our individual customers, allowing us to prepare the meat just the way you like it. We also pride ourselves on our own recipe manufactured products all made to very high standard. Pollock Williamson Butchers sponsor the 2001 away kit. All Aspects Of Roofing, Re-Roofs, Roof Repairs, Flat Roofs, Slating, Tiling, Lead Work, UPVC Guttering, Chimneys, Free Estimates & Advice. Peacock Roofing sponsor 2001 training jackets. Spirit AeroSystems is one of the world’s largest independent producers of commercial aerostructures. Our core products include fuselages, pylons, nacelles and wing components. Spirit AeroSystems sponsor 2001 match day jackets.